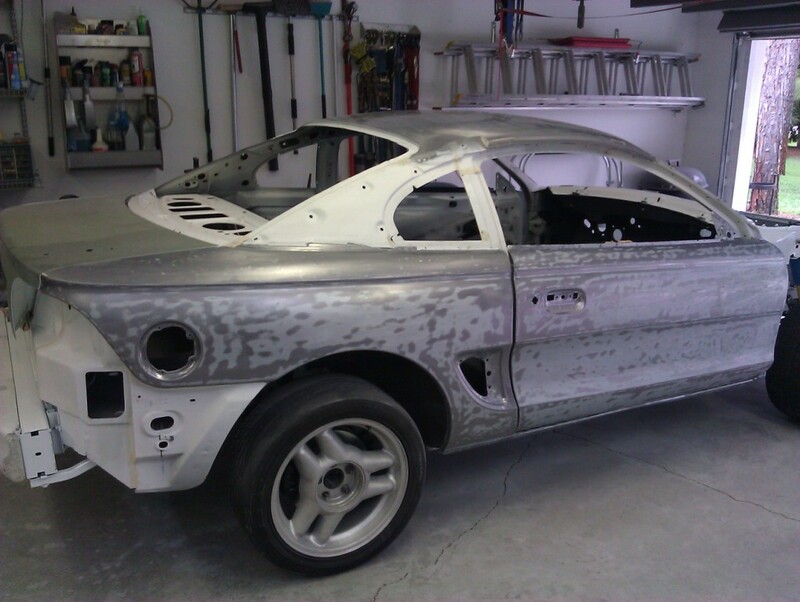 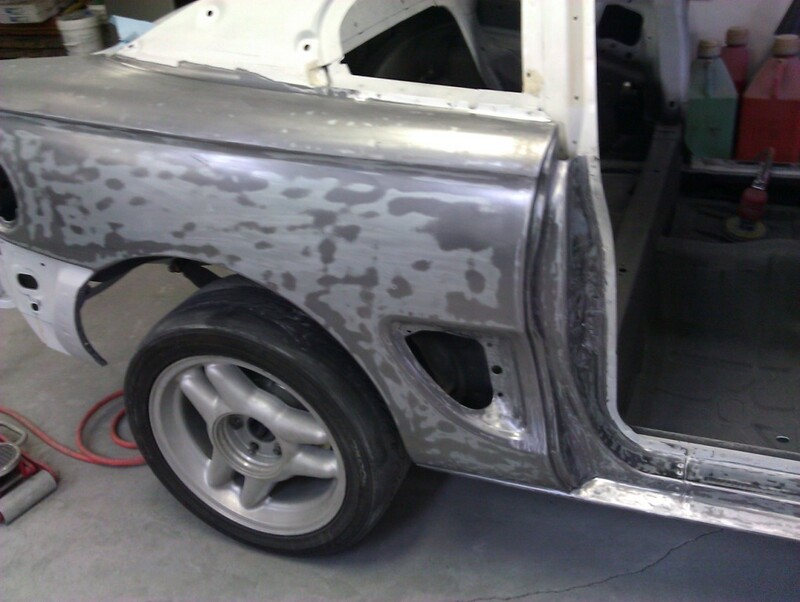 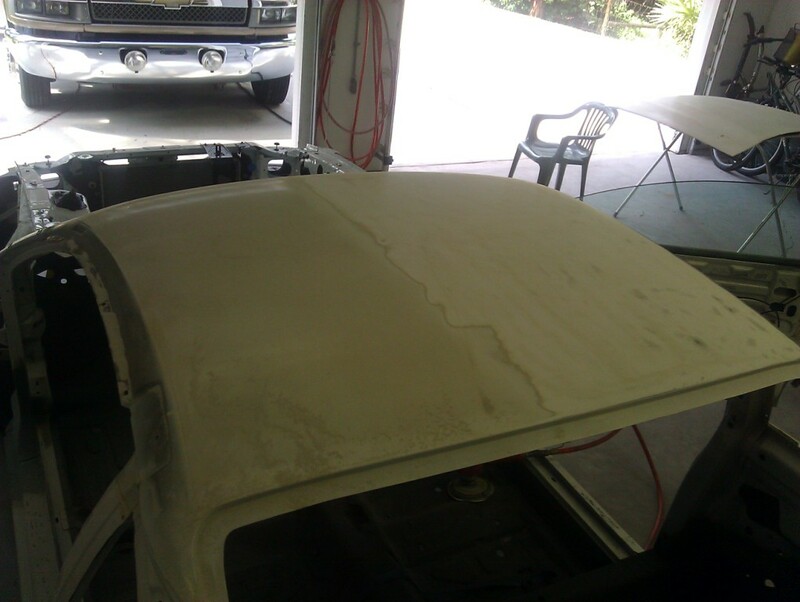 Well, as I discussed in Journal #57, the plan was to take the car to Blast Masters and have the owner Steve, soda-blast the paint off the car, just like he did the deck lid, front fenders and hood. 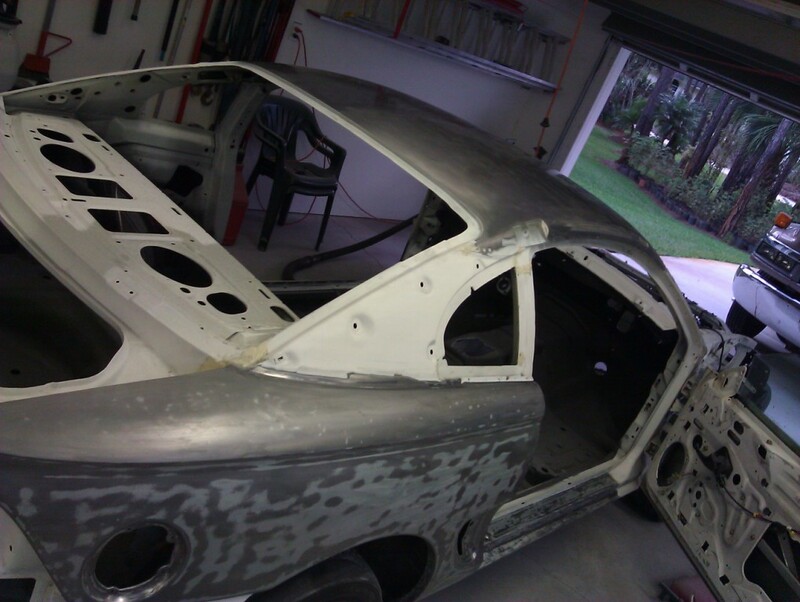 However, due to the heavy rains in October, he found himself backed-up with location work on Palm Beach. 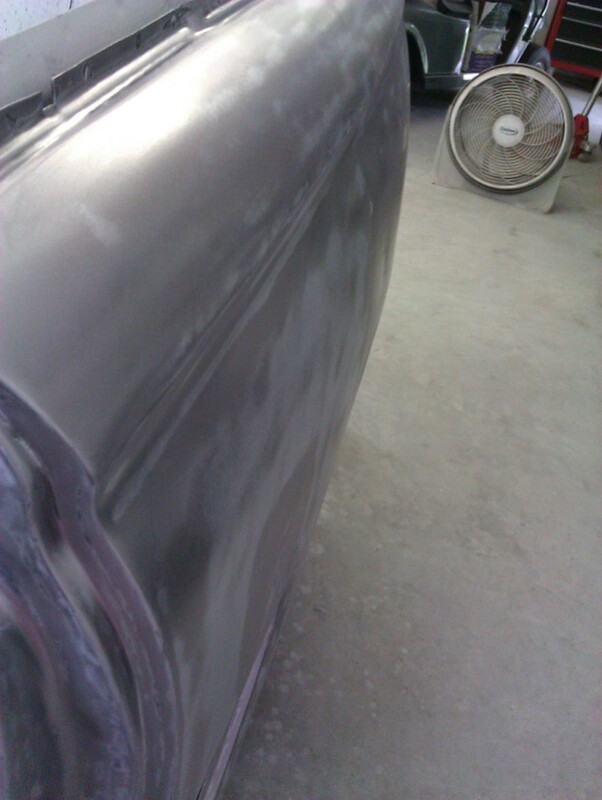 Not wanting to wait around, I decided to strip the paint off the car myself with good old-fashioned sand paper and 3M rolo-lock surfacing pads. 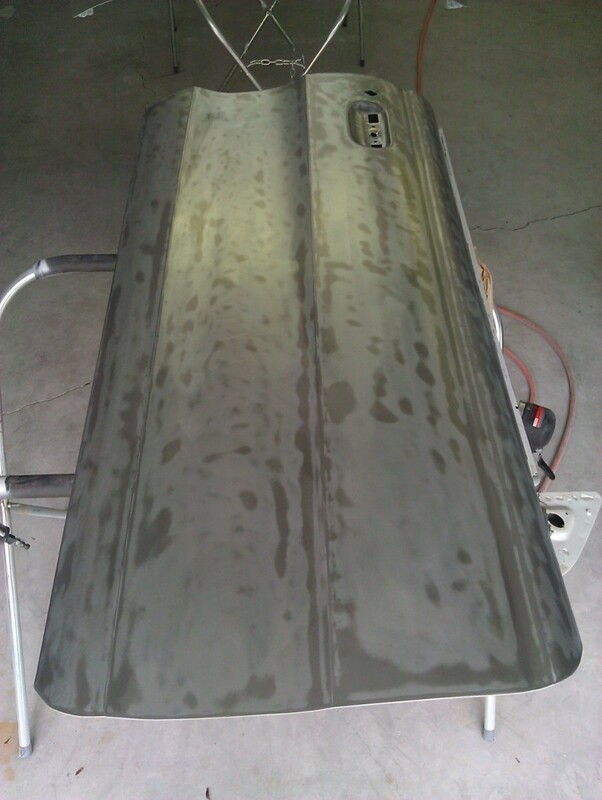 I started off with 80 grit on the DA sander to get thought the tough, outer coats of paint. 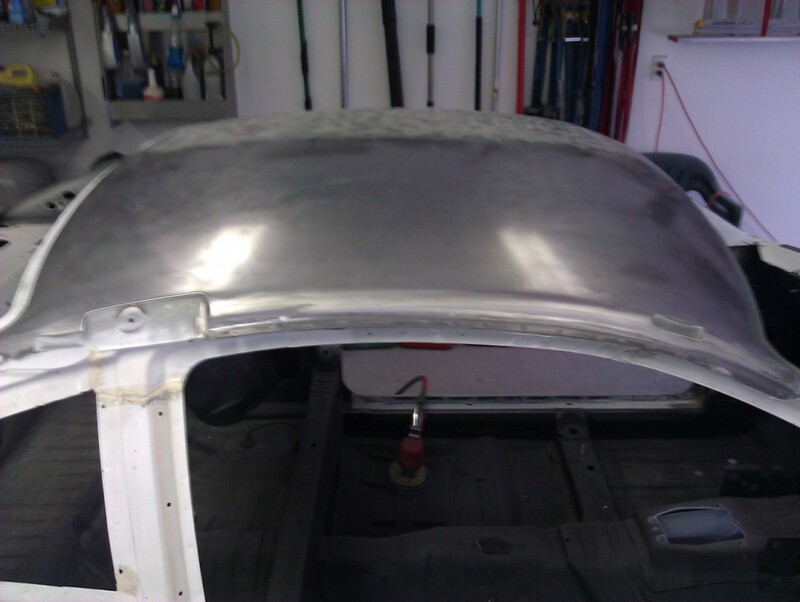 Once I got down to the factory primer and e-coat, I switched to 180 grit, as to put as few scratches in the metal as possible. 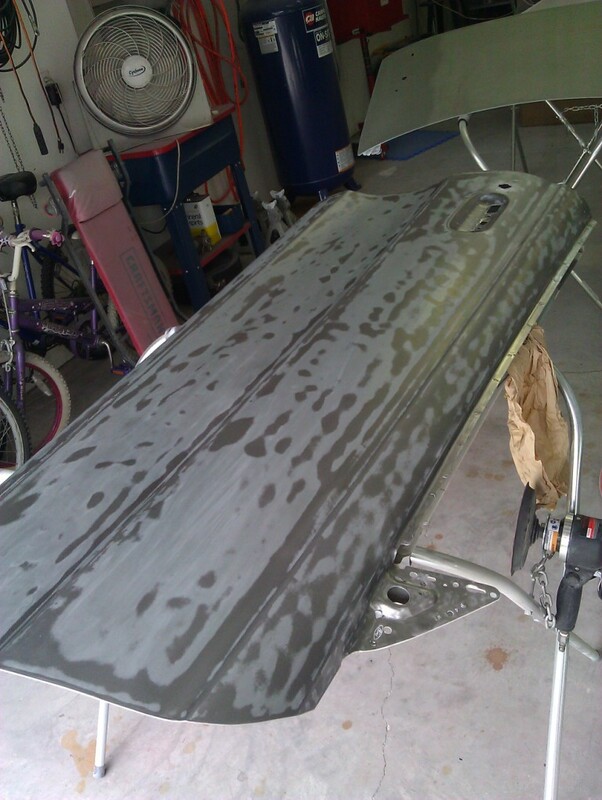 My 10 year-old Husky (Home Depot's Best!) 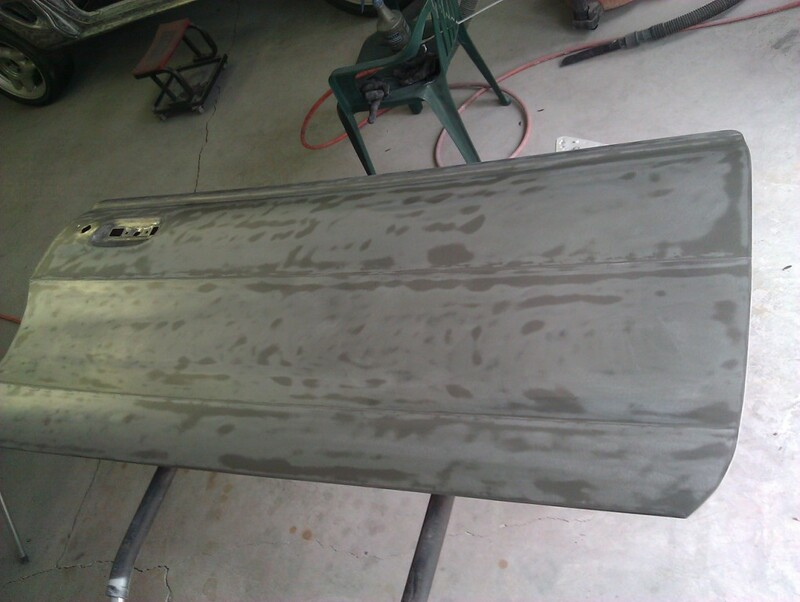 DA died about half-way through the process, so I picked up a new Ingersoll-Rand DA to complete the job. 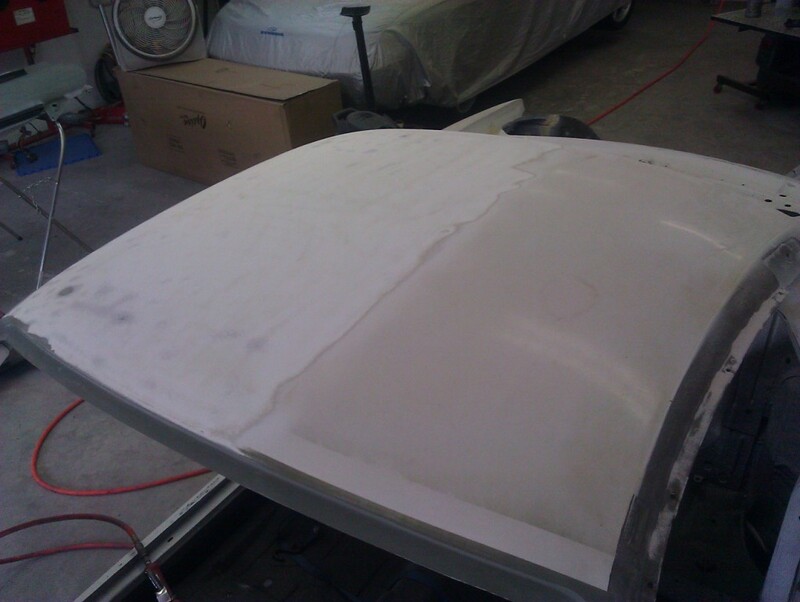 I went through about 50 sheets of sandpaper and about the same number of 2in 3M Rolo-lock disk too. 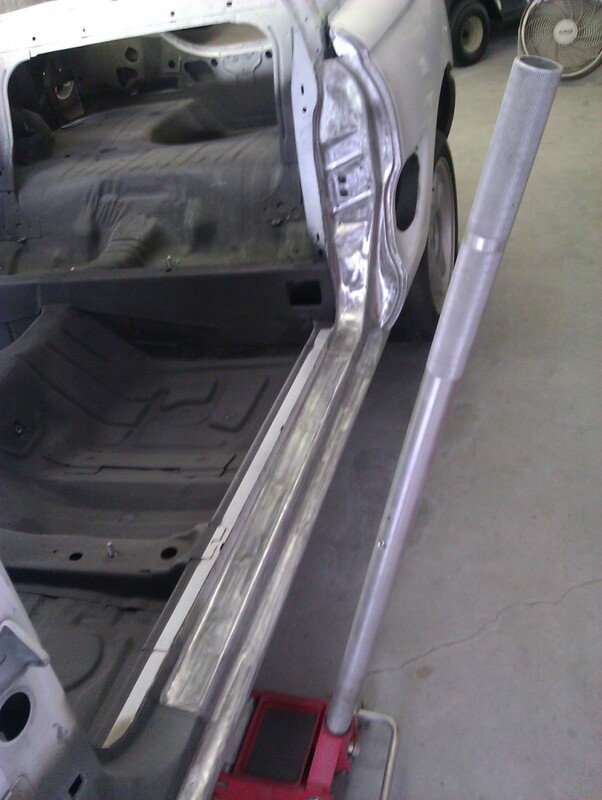 The Rolo-locks worked great on removing the paint on the door jams and other hard-to-reach areas of the car. 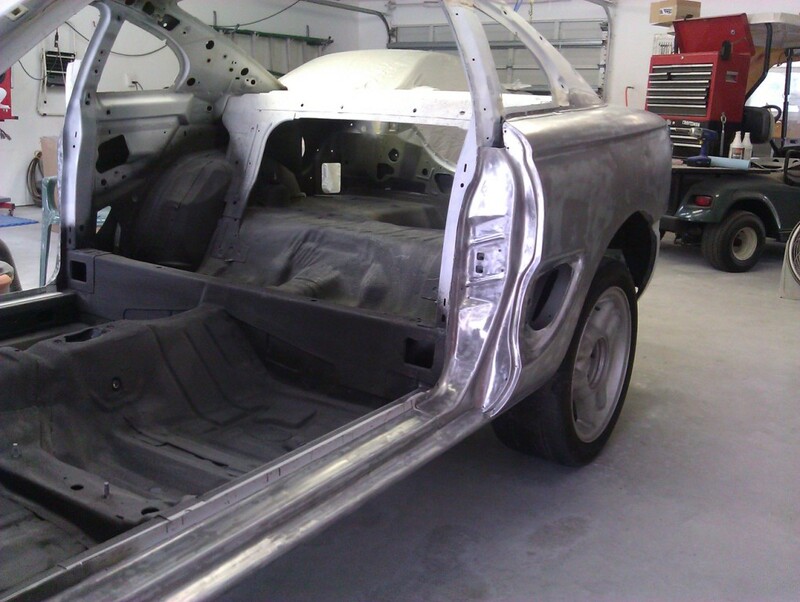 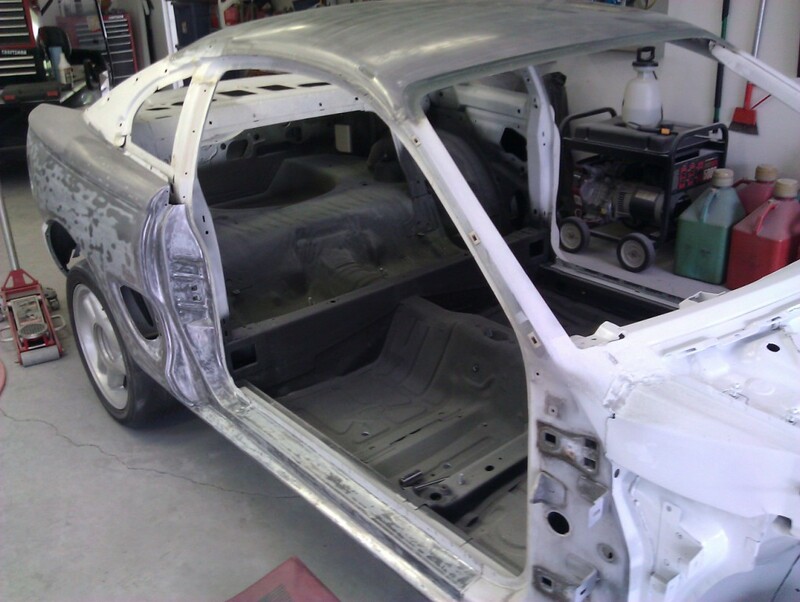 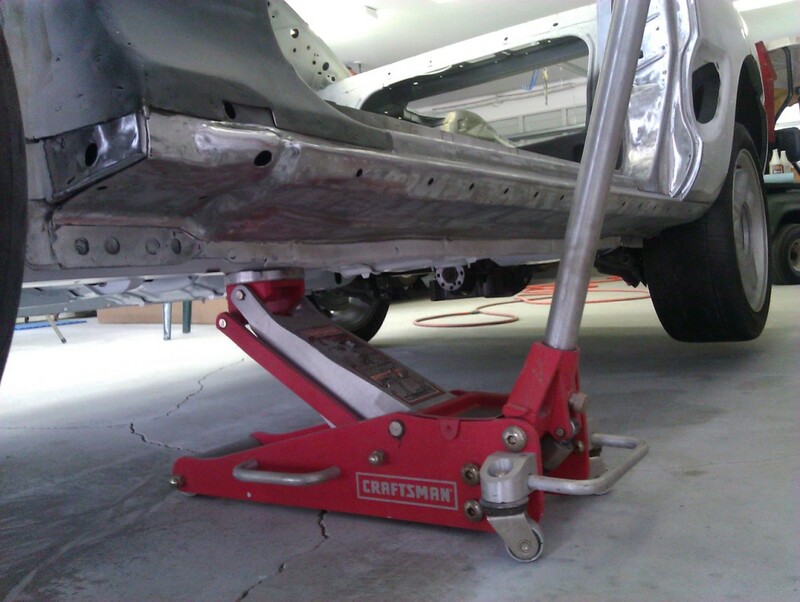 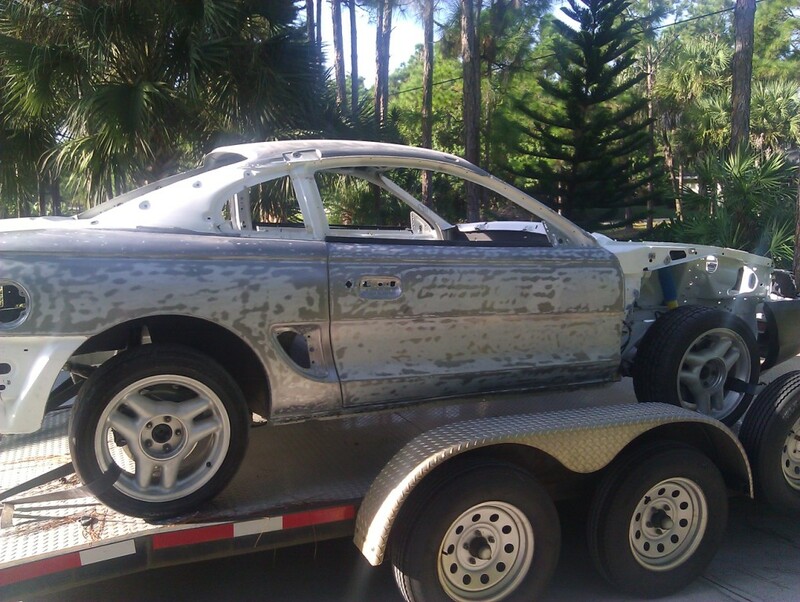 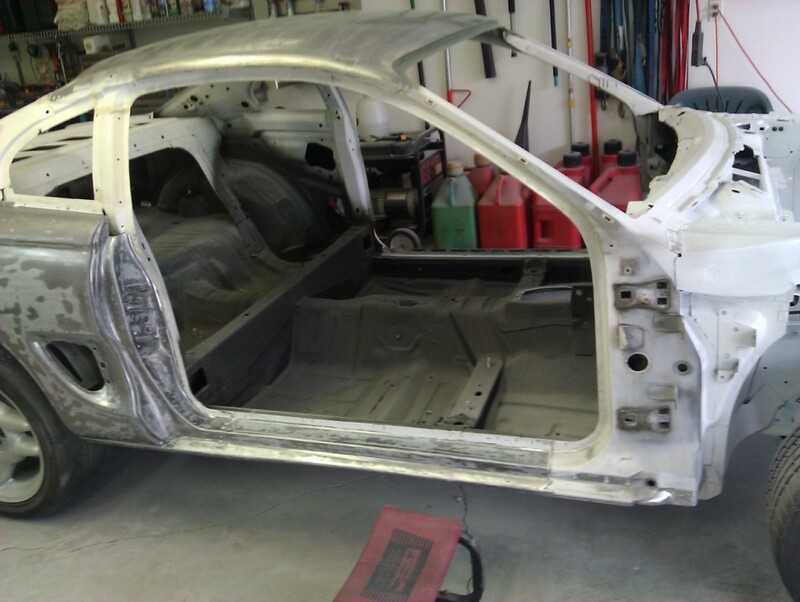 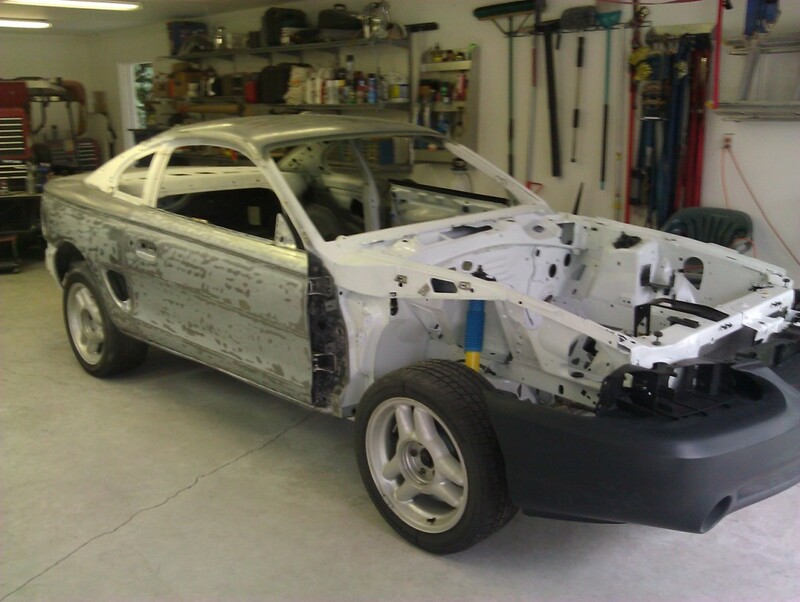 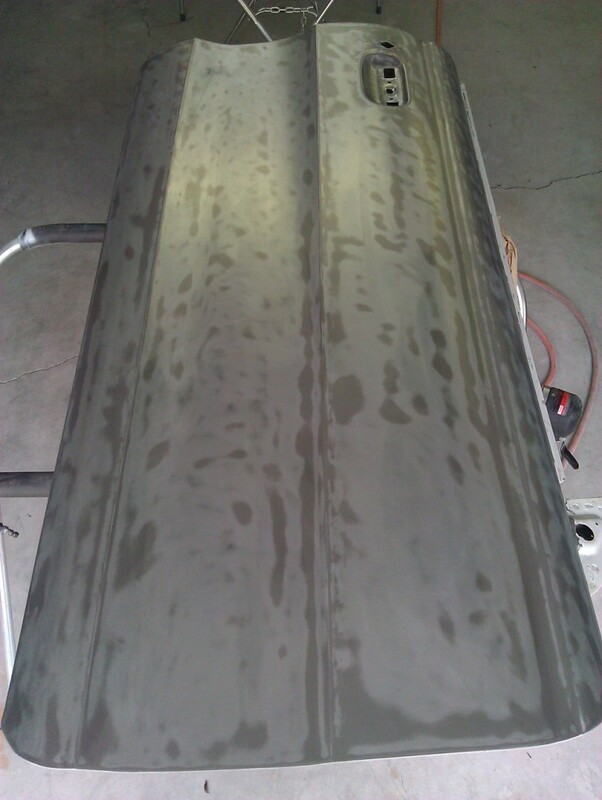 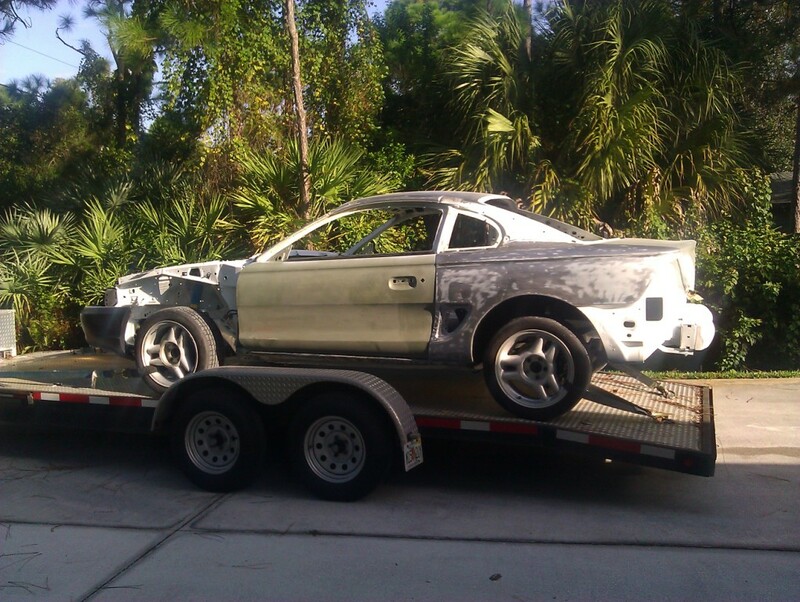 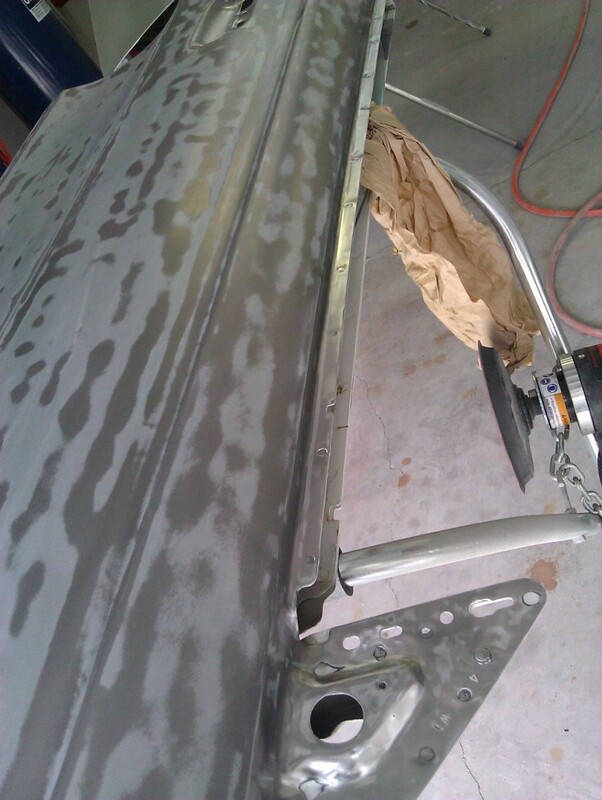 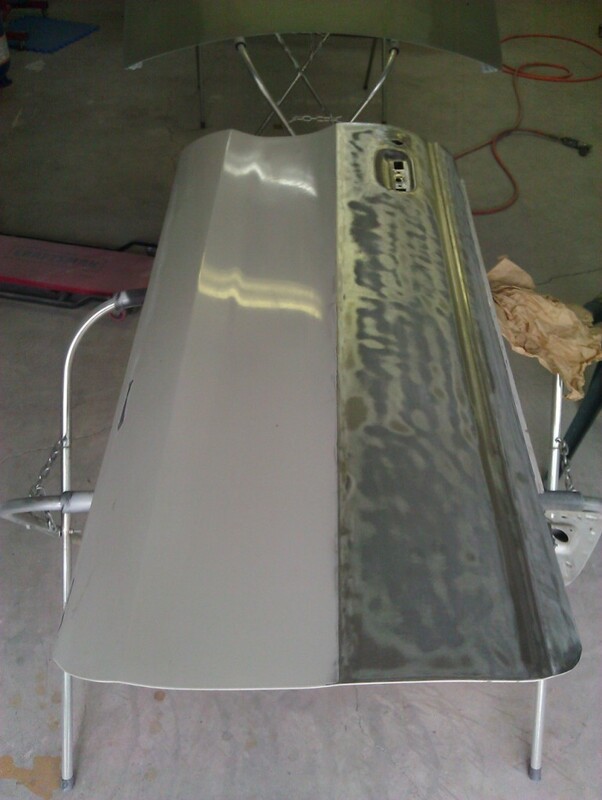 As the paint was removed from each area of the car, i treated the area with a metal conditioner/rust remover-preventer to keep the metal rust-free until it gets to Palm Beach Coachworks for primer and paint. 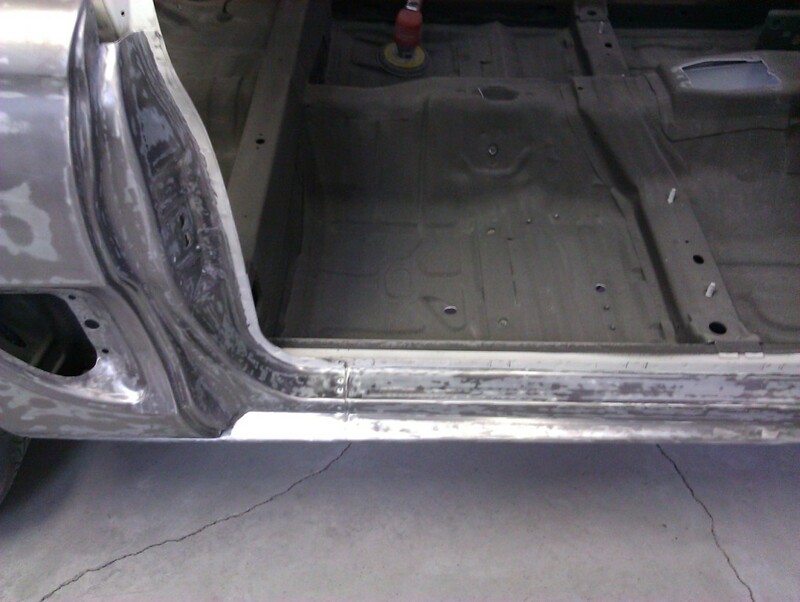 The passenger-side body panels were in really good condition with just minor door dings. 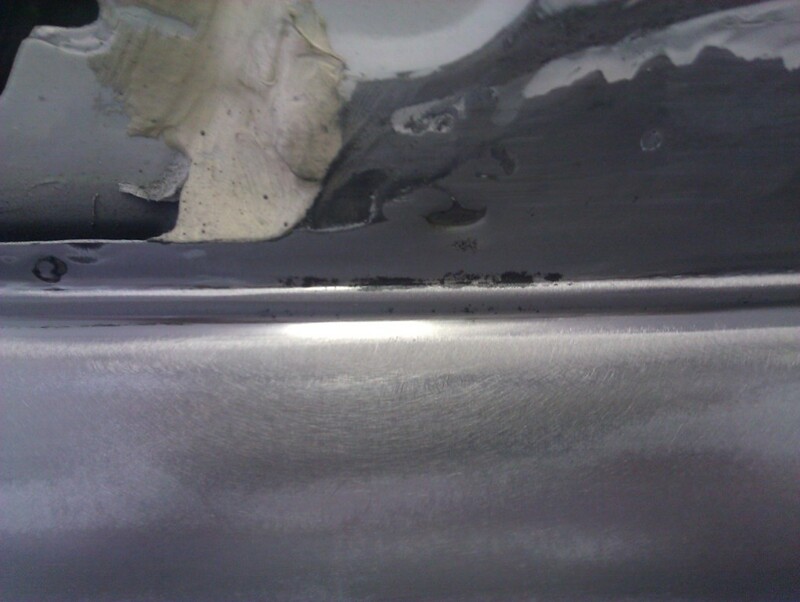 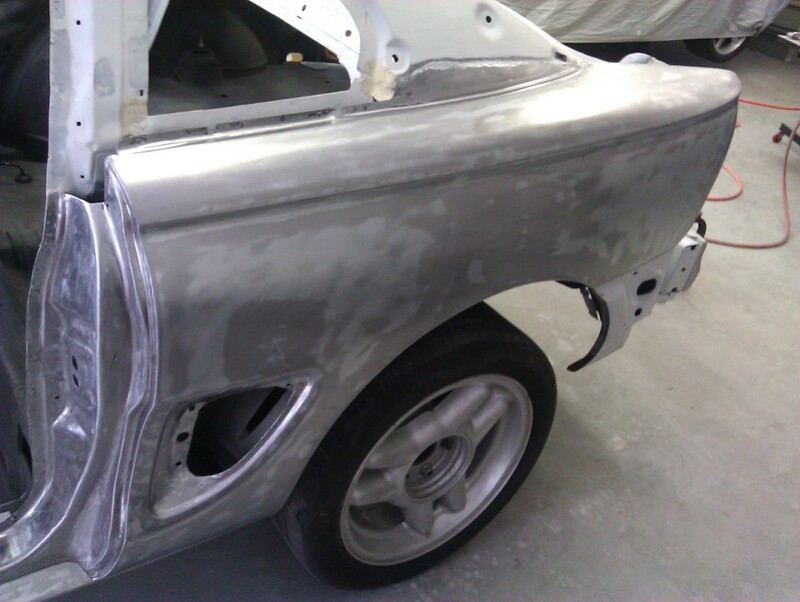 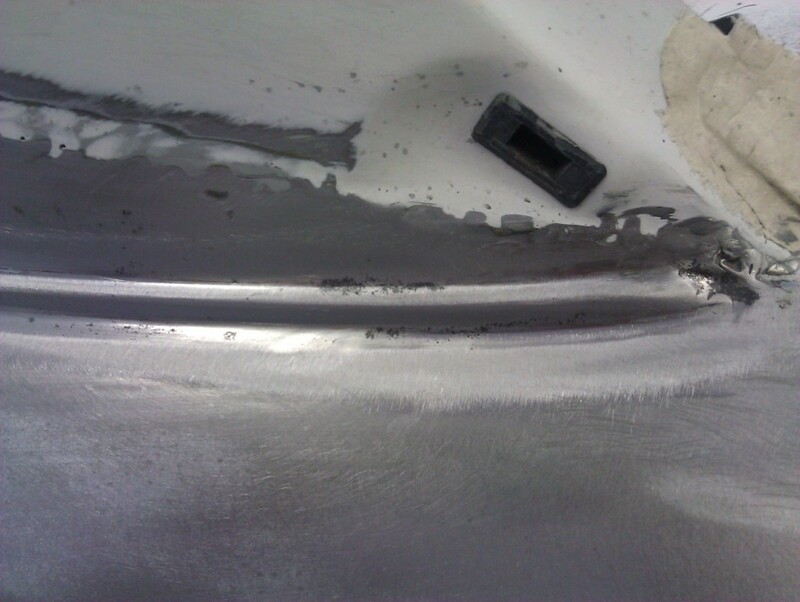 The drivers-side rear quarter was covered in a thin layer of bondo all over its surface. 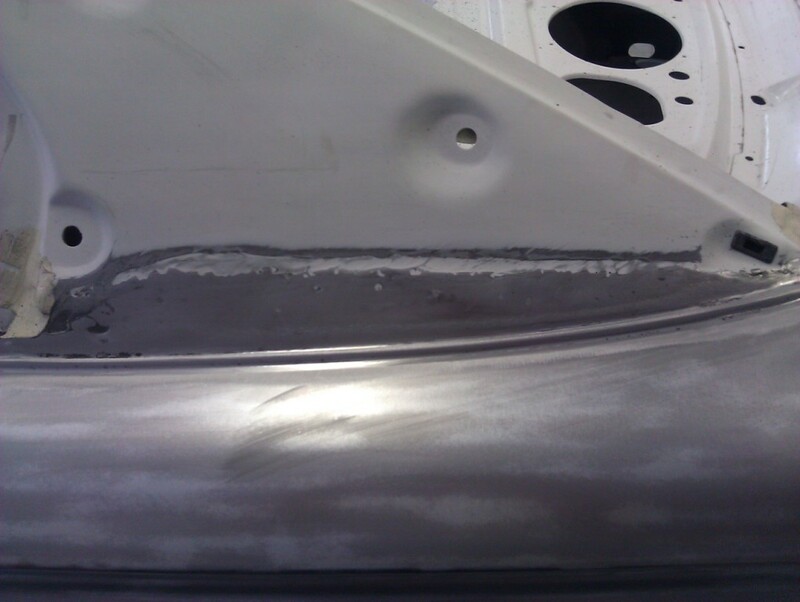 You can see in the pictures all the dents that were just filled-in, rather than fixed. 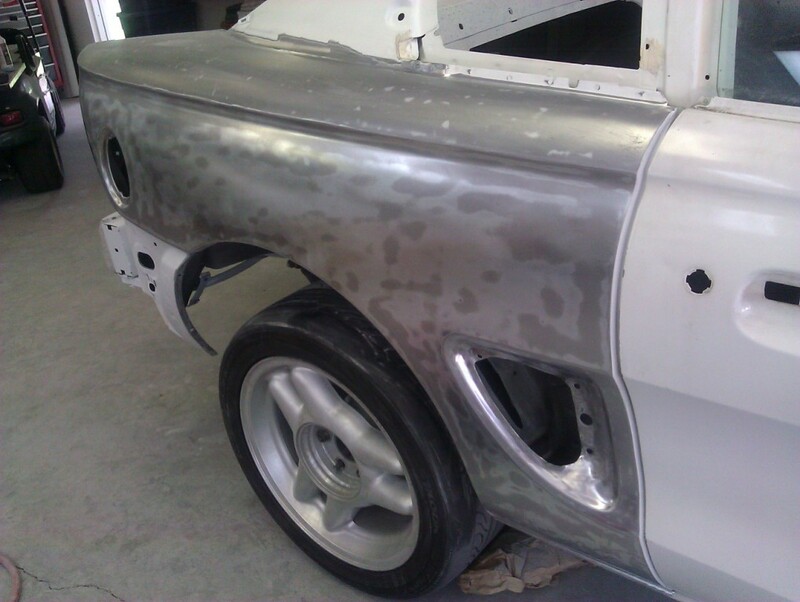 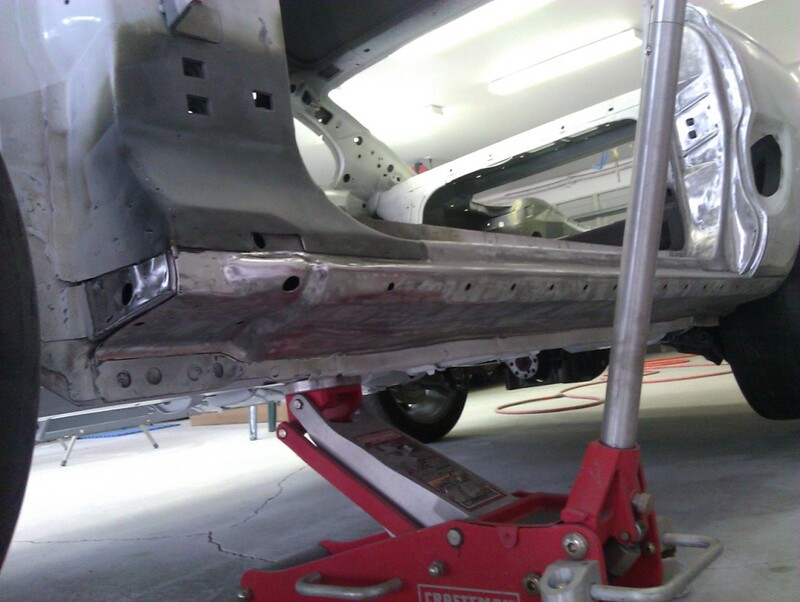 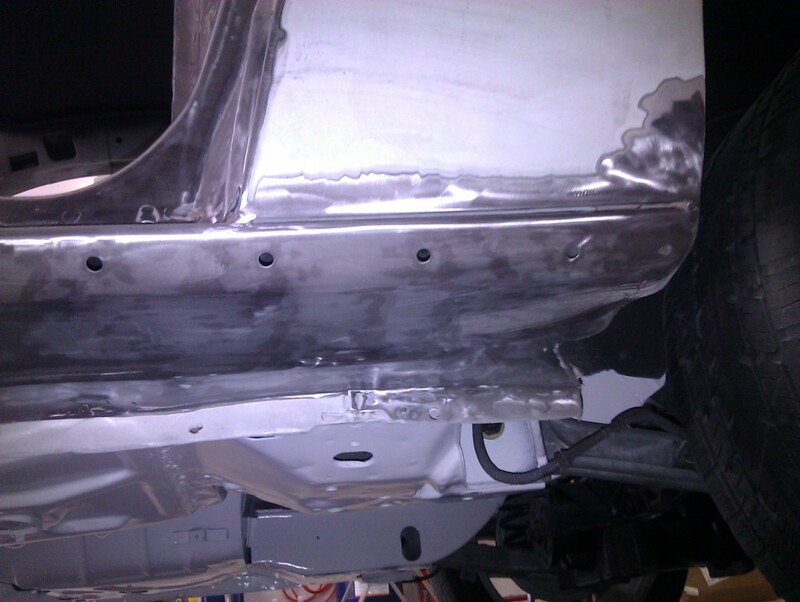 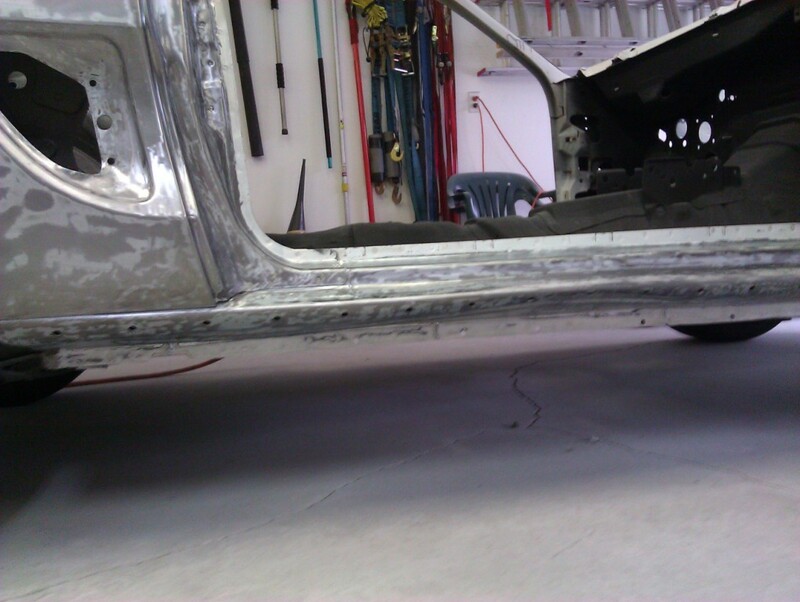 The rocker panels are going to require the most body work, as both are damaged from improper jacking. 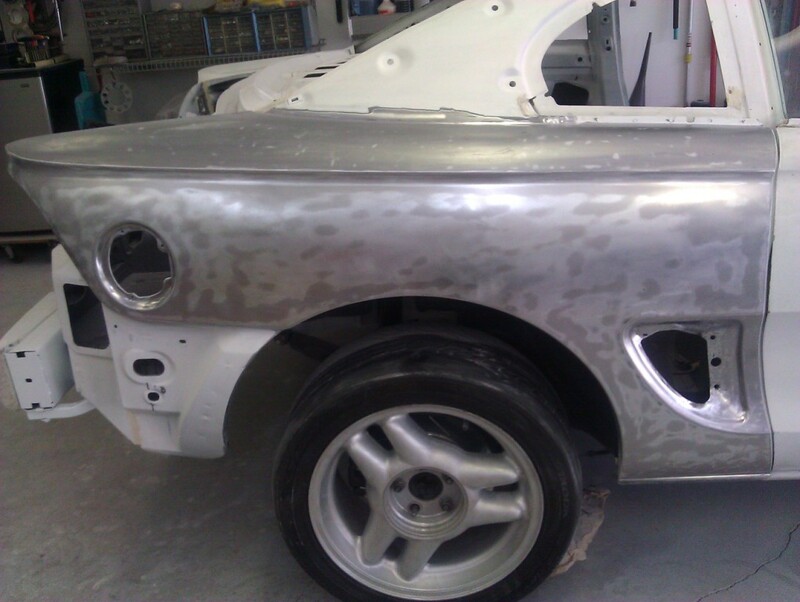 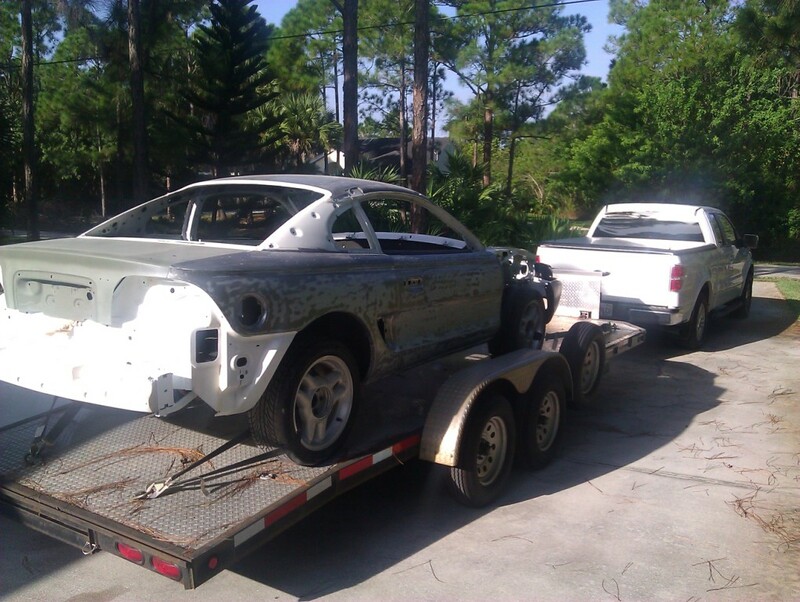 After the process was complete, both recently-painted doors and the trunk lid were bolted in-place for the trailer ride over to Palm Beach Coachworks. 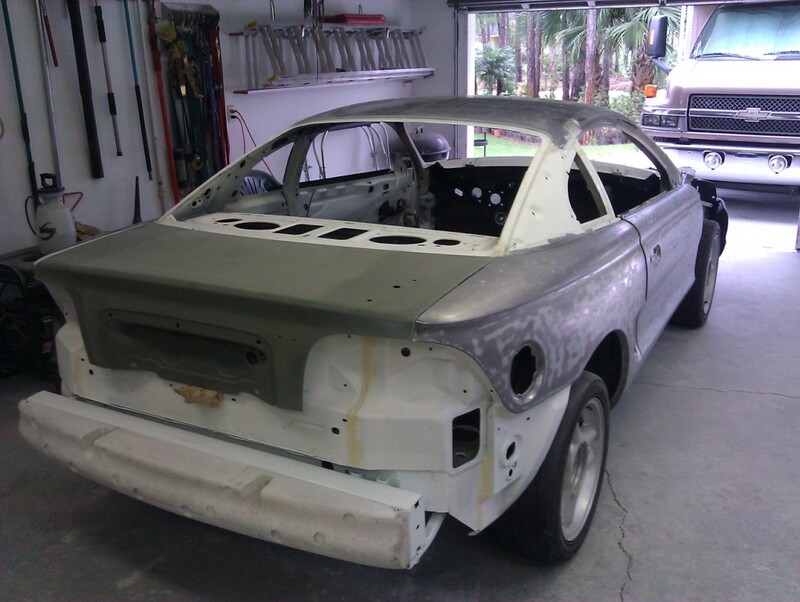 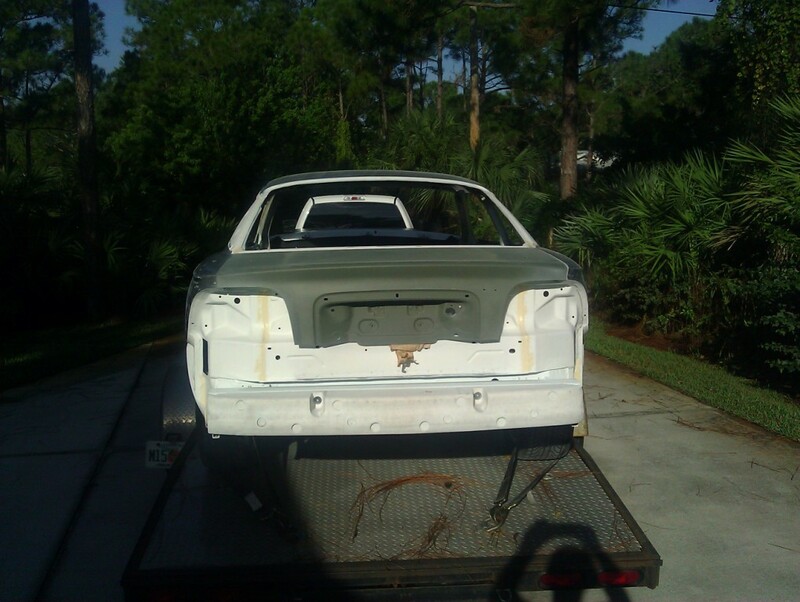 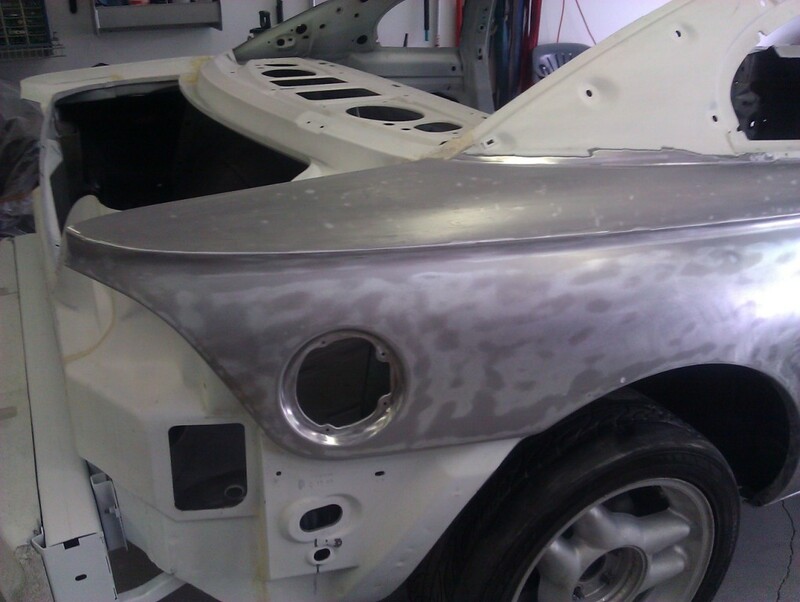 I'll take over the rear bumper and hood after I finish-up the body work on them. 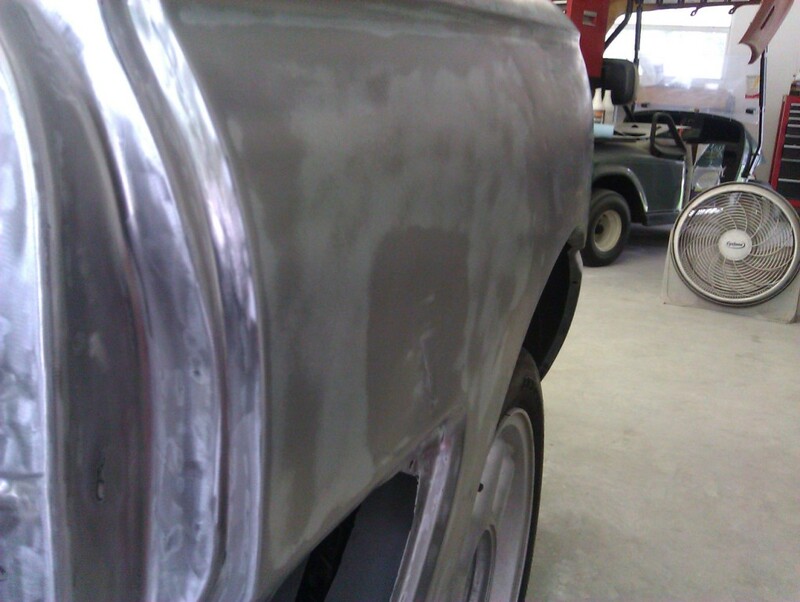 Last Modified: November 14th, 2011.